One of the exciting features in Chef Analytics 1.1.2 that is the ability to link Chef Analytics to Splunk. 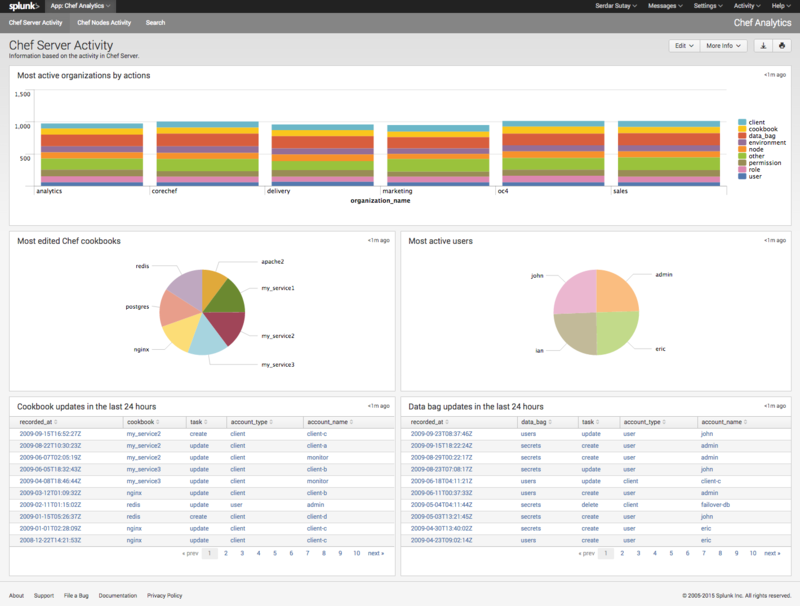 This features give you the ability to extract meaningful insights about your Chef infrastructure if you are using Splunk. 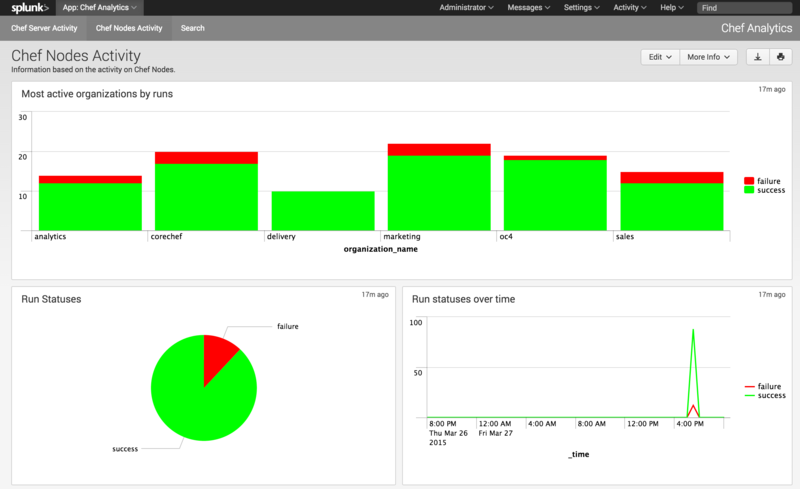 To give this a try, check out the instructions on https://github.com/chef/analytics-splunk-app and create an issue here if you run into any problems.